I've worked myself into a rather awkward corner of Instagram: a travel photographer with very limited time to travel. Between studies, photography work and other projects, there's only one answer: weekend breaks. 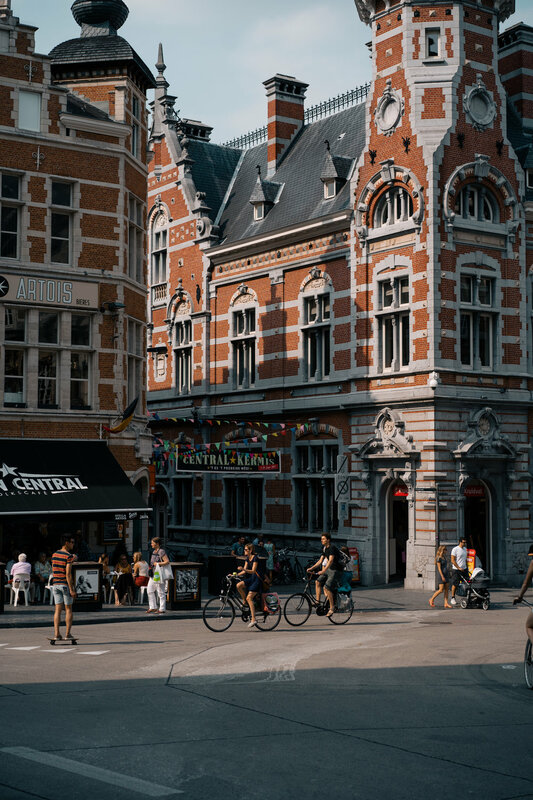 So when Heverlee Beer invited me to their home of Belgium, I instantly traded up my textbook for my passport and crossed over to Brussels, knowing I had just three days to sample the Belgian way of living. On the first day, we visited the Meeting of Styles in Antwerp, where superstar street artists attack the walls of cities all over the world with spray-paint and creativity. It was crazy to watch the progress from an A4 sketch to etched lines on the wall, to vibrant immersive artwork breathing from the walls. Later on the day, our team got the chance to meet world-renowned street artist Dzia, who collaborated with Heverlee to bring the painstakingly detailed design on their new glassware. Day two was spent visiting Park Abbey in Leuven, the home of the Heverlee Beer recipe. There, we learnt the tale of how Heverlee master brewer Joris Brams recovered the ancient abbey recipe from the Leuven monks. Joris recreated this recipe to craft his unique Belgian Pils beer, a delicate balance between light malt sweetness with the distinctive bitter aroma of traditional Belgian Saaz. The taste serves as a suitable match for the monks' motto 'Ne Quid Nimis', meaning 'Everything in Moderation'. It's not just a moniker to be worked into hymns, it's the monks' very way of living. The way the light entered the abbey was a joy to play with. I spent my final day wandering the small corners of Brussels, soaking in what I could of the city streets. The Belgian architecture was a dream. So what did I learn re: Belgian way of living? To take it chill. Sip your pint until the evening comes. Nibble away at a few Belgian fries. Then have another pint. But no need to push yourself: after all, everything in moderation.